Books | ACADEMY OF CREATIVE HEALING ARTS - Be your greatest work of art! 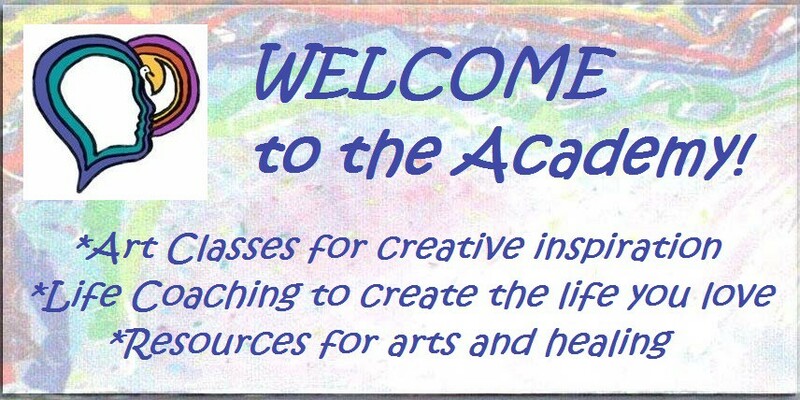 ACADEMY OF CREATIVE HEALING ARTS – Be your greatest work of art! Adrienne, C. (1998). The Purpose of Life: Finding Your Place in the World Using Synchronicity, Intuition, and Uncommon Sense. NY: William Morrow & Co.
Alschuler, L.N. & Gazella, K.A. (2010) The Definitive Guide to Cancer: An Integrative Approach to Prevention, Treatment and Healing. Berkeley, CA: Celestail Arts. Anderson, G (2009). Cancer: 50 essential things to do. NY: Penguin Group. Andrews, T. (2003). Animal Speak: The Spiritual and Magical Powers of Creatures Great and Small. St. Paul, MN: Llewellyn Pub. Brennan, B. (1987). Hands of Light: A Guide to Healing Through the Human Energy Field. NY: Bantam Books. Bryan, M. (1998). The Artist’s Way at Work: Riding the Dragon: Twelve Weeks to Creative Freedom. N.Y.: William Morrow & Co.
Burgess, A.S. (2002). How to Grow a Second Skin for Your Soul. Richmond, VA: The Oaklea Press. Cameron, J. (1992). The artist’s way: A course for discovering and recovering your creative self. NY: G.P. Putnam’s Sons. Chopra, D., MD. (2000). Perfect Health: The Complete Mind/Body Guide. NY: Three Rivers Press. Choquette, S. (1997). Your Heart’s Desire: Instructions for Creating the Life You Really Want. N.Y.: Three Rivers Press. Cloud, Henry & Townsend, John. (1992). Boundaries: When to Say Yes When to Say No to Take Control of Your Life. Grand Rapids, MI: Zondervan. Covey, S. (1989). Seven Habits of Highly Effective People: Powerful Lessons in Personal Change, Stephen Covey. Dyer, W.W. (2007). Change Your Thoughts, Change Your Life: Living the Wisdom of The Tao. London: Hay House. Dyer, W.W. (2006). Inspiration: Your Ultimate Callling. Carlsbad, CA: Hay House. Dyer, W.W. (2000). There’s a Spiritual Solution to Every Problem. N.Y.: Harper Collins. Egoscue, P. (1998). Pain Free: A Revolutionary Method for Stopping Chronic Pain. NY: Bantum Books. Graham-Pole, J. (2000). Illness and the Art of Creative Self-Expression. Oakland, CA: New Harbinger Publications, Inc.
Hay. L.L. (1984). You Can Heal Your Life. Carlsbad, CA: Hay House, Inc.
Holbrook, G. (1999). Joy-full Holistic Remedies: How to experience your natural ability to heal. Houston: Joy-Full Pub. Co.
Ilibagiza, Immaculee. (2006) Left to Tell: Discovering God Amidst the Rwandan Holocaust. Carlsbad, CA: Hay House, Inc.
Kieves, T.J. (2002). This Time I Dance! : Trusting the Journey of Creating the Work You Love. NY: Jeremy P Tarcher/Putnam. Kroeger, H. (1984). God Helps Those Who Help Themselves. Boulder, CO: Hanna Kroeger Publications. Lehmkuhl, D. & Cotter Lamping, D. (1993). Organizing for the Creative Person: Right-brain styles for conquering clutter, mastering time, and reaching your goals. NY: Three Rivers Press. Lehner, E & J (2003). Folklore and Symbolism of Flowers, Plants and Trees. NY: Dover Publications, Inc.
Moorjani, A. (2012). Dying to be me: My journey from cancer , to near death, to true healing. Carlsbad, CA: Hay House. McKarthy, K.W. (1992). The On-Purpose Person: Making Your Life Make Sense. Colorado Springs, CO: Pinon Press. Moore, T. (1996). The Re-Enchantment of Everyday Life. N.Y.: Harper Collins Publishers. Myss, Caroline. (2007). Entering the castle: An Inner Path to God and Your Soul. NY: Free Press. Nepo, M. (2000). The Book of Awakening: Having the Life You Want by Being Present to the Life You Have. San Francisco: Conari Press. O’Donnell, M.L. (2000). Of Monkeys and Dragons: Freedom from the Tyranny of Disease. San Antonio: La Vida Press. Rankin, L. (2013). Mind Over Medicine: Scientific Proof that You Can Heal Yourself.Carlsbad, CA: Hay House Inc.
Redfield, J. (1997). The Celestine Vision: Living the New Spiritual Awareness. NY: Warner Books. Richo, D (1998). Unexpected Miracles: The Gift of Synchronicity and How to Open It. NY: The Crossroad Publishing Co.
Ruiz D. M. (2010). The Fifth Agreement: A practical guide to self-mastery. San Rafael, CA: Amber Allen Publishers. Rush, M (1994). Decoding the Secret Language of Your Body: The Many Ways Our Bodies Send Us Messages. N.Y.: Simon and Schuster. Samuels, M. & Rockwood Lane, M. (1998). Creative Healing: How to Heal Yourself by Tapping into Your Hidden Creativity. San Francisco: Harper, Pub. Samuels, M. & Rockwood Lane, M. (2000). Spirit Body Healing: Using Your Mind’s Eye to Unlock the Medicine Within. N.Y.: John Wiley and Sons, Inc.
Samuels, M. & Rockwood Lane, M. (2000). The Path of the Feather: A Handbook and Kit for Making Medicine Wheels and Calling in the Spirit Animals. NY: G.P. Putnam’s Sons. Seymour, Jane (2003). Remarkable Changes: Turning Life’s Challenges into Opportunities. NY: Harper Collins. Sher, B. (2006). Refuse to Choose! A Revolutionary Program for Doing Everything that You Love. Holtzbrinck Publishers. Sher, B. (1998). It’s Only Too Late If You Don’t Start Now: How to Create Your Second Life After 40. NY: Delacorte Press. Sher, B. (1994). I Could Do Anything If I Only Knew What It Was. N.Y.: Delacorte Press. Siegel, B & August, Y. (2003). Help Me to Heal: A Practical Guidebook for Patients, Visitors, and Caregivers. Carlsbad, CA: Hay House, Inc.
Sierpina, V. (2001). Integrative health care: Complementary and alternative therapies for the whole person. F.A. Davis Co.
Singer, M. (2007). The Untethered Soul: The Journey Beyond Yourself. Oakland, CA: New Harbinger Pub. Sommers, S. (2009) Knocked out: Interviews with doctors who are curing cancer and how to prevent getting it in the first place. NYC, NY: Crown Pubs. Tempest Williams, T. (1998). Art.Rage.Us. : Art and Writing by Women with Breast Cancer. San Francisco: Chronicle Books. Tipping, Colin. (2009). Radical Forgiveness: A revolutionary 5 stage process to heal relationships, let go of anger and blame, and find peace in any situation. Boulder, CO: Sounds True, Inc. Tipping, Colin. (2010). Radical Self-Forgiveness: The Directed path to true self-acceptance. Boulder, CO: Sounds True, Inc. Tipping Colin. (2011). Forgiving Your Parents with Ease and Grace: Using the power of radical forgiveness, Ebook Global 13 Publishing. Tolle, E. (1999). The Power of Now: A Guide to Spiritual Enlightenment. Novato, CA:: Namaste Publishing. Tolle, E. 2005). A New Earth: Awakening to Your Life’s Purpose. NY: Penguin Group. Turner, K. (2014). Radical Remission: Surviving Cancer at All Odds – The 9 Keys Factors that Can Make a Real Difference. NY: Harper Collins. Vanzant, I. (2001). Living Through the Meantime. NY: Simon and Schuster. Weil, A. & Rossman, M.L. (2003). Fighting Cancer from Within: How to Use the Power of Your Mind for Healing. N.Y: Henry Holt and Co.
Vanzant, I. (1998). One Day My Soul Just Opened Up. NY: Simon and Schuster. Williamson, M. (1992). A return to love: Reflections on the principles of a course in miracles. NYC, NY: Harper Collins Pubs. Winsor, M. (1999). The Pilates Powerhouse. Cambridge, MA: Perseus Books. Zukov, G. (2014). The Seat of the Soul. NY: Simon and Schuster. Essel, David. (2004). Slow Down: The Fastest Way to Get Everything You Want. Carlsbad, CA; Hay House Inc.
Essel, David. (2012). The Power of Focus: How to Exceed Your Own Expectations in Life, Love, Health, Career, Spirituality, Finances, Recovery, Attitude and More. Ft. Myers, FL: David Essel. O’Leary, A. & Woulas, M. (2012). Focus on You: Your Needs Matter, Too! : 6 Lessons to Help You Find Happiness and Take Better Care of You. CreateSpace Independent Publishing Platform. O’Leary, A. (2012). Ride the Wave: Journey to Peaceful Living. Estero, FL: O’Leary. Ratey, N. (2008). The Disorganized Mind: Coaching Your ADHD Brain to Take Control of Your Time, Tasks and Talents. NY: St. Martin’s Press. Surman, C.,Bilkey, T., & Weintraub, K. (2013). Fast Minds: How to Thrive if You Have ADHD (or Think You Might). NY: Berkley Pub Group. Whitworth L., Kimsey-House K., Kimsey-House H. & Sandahl P., (2007). Co-Active Coaching: New Skills for Coaching People Toward Success in Work and Life. 2nd Edition, Mountain View, CA: Davies-Black Pub. Amen, D. G. (1998) Change Your Brain, Change Your Life: The Breakthrough Program for Conquering Anxiety, Depression, Obsessiveness, Anger and Impulsiveness. N.Y.: Three Rivers Press. Amen, D.G. (2013). Healing ADD Revised Edition: The Breakthrough Program that Allows You to See and Heal the Seven Types of ADD. Berkley Trade. Begley, Sharon. (2007). Train Your Mind, Change Your Brain: How a New Science Reveals Our Extraordinary Potential to Transform Ourselves. NY: Ballantine Books. Boccio, Frank Jude. (2004). Mindfulness Yoga: The Awakened Union of Breath, Body and Mind. Boston: Wisdom Publications. Bolte-Taylor, Jill. (2006) My Stroke of Insight: A Brain Scientist’s Personal Journey. London, England: Penguin Books. Dispenza, J. (2012). Breaking the Habit of Being Yourself: How to Lose Your Mind and Create a New One. Carlsbad, CA: Hay House Inc.
Dravecky, Dave & Jan. (1998) Do Not Lose Heart: Meditations of Encouragement and Comfort. Grand Rapids, MI: Zondervan. Dyer, W. W. (2012). Wishes Fulfilled: Mastering the art of manifesting. Carlsbad, CA: Hay House. Epstein, M. (2013). Thoughts without a Thinker: Psychotherapy from a Buddhist Perspective. Basic Books. Gerbarg, P. & Brown, R. (2012). Non-Drug Treatment for ADHD: New Options for Kids, Adults, and Clinicians. W.W. Norton & Co.
Lipton, B. H. (2008) The Biology of Belief: Unleashing the Power of Consciousness, Matter, and Miracles. Carlsbad, CA: Hay House, Inc.
Nhat Hanh, T. (2004) Taming the Tiger Within: Meditations on Transforming Difficult Emotions. Redfield, J. 1993). The Celestine Prophecy. NYC, NY: Warner Books, Inc.
Thondup, Tulku. (1996). The Healing Power of the Mind: Simple Meditation Exercises for Health, Well-Being, and Enlightenment. Boston: Shambhala Pub. Vaughan, F. E. (1979). Awakening Intuition. N. Y: Anchor Books. Weil, A.& Rossman, M.L. (2003). Self Healing with Guided Imagery. Thome Communications Inc.
Weiss, L. (2001). View from the Cliff: A Course in Achieving Daily Focus. Taylor Trade Publishers. Edwards, B. (1986). Drawing on the artist within: An inspirational and practical guide to increasing your creative powers. NY: Simon & Schuster, Inc.
Fincher, S.F. (1991). Creating Mandalas for Insight, Healing and Self-expression. Boston: Shambhala. Ganim, B. (1999). Art and Healing: Using Expressive Art to Heal Your Body, Mind and Spirit. N.Y.: Three Rivers Press. Gold, A. (1998). Painting from the Source: Awakening the Artist’s Soul in Everyone. N.Y.: Harper Perennial. Grey, A. 1998). The Mission of Art. Boston: Shambhala. Murray, E. (1997). Cultivating sacred space: Gardening for the soul. San Francisco: Pomegranate Pub. Phillips, J. (2000). God is at eye level: Photography as a healing art. Wheaton, Ill: Quest Books. Roberts, R & Thomas, M. (2012). The Book of Zentangle.Whitinsville, MA: Zentangle, Inc.
Rossbach, S. & Yun, L. (1994). Living Color: Master Lin Yun’s Guide to Feng Shui and the Art of Color. NY: Kodansha International. Streep, P. (1999). Spiritual Gardening: Creating Sacred Space Outdoors. Time Life Books. Sunderland, M. & Eagleheart, P. (1996). Draw on your emotions. Winslow Press, Ltd.
Todd Beam, M. (2001). Celebrate Your Creative Self: More than 25 exercises to unleash the artist within. Cincinnati, OH: North Light Books. Avinery, Orly. (2012). One Artist Journal. Create Space Independent Publishing Platform. Batcheller, Lori. (2001). Journey to Health: Writing Your Way to Physical, Emotional and Spiritual Well-being. Lincoln, NE: iUniverse.com, Inc.
Baldwin, C. (1991). Life’s companion: Journal writing as a spiritual quest. N.Y.: Bantam Books. Baldwin, C. (1991) One to One: Self-Understanding through Journal Writing. NY: M. Evans & Co.
Bouton, Eldonna. (1999). Loose Ends: A Journaling Tool for Tying up the Incomplete Details of Your Life and Heart. San Luis Obispo, CA: Whole Heart Publications. Broyles, Anne. (1988). Journaling: A Spirit Journey.Nashville, TN: Upper Room Books. Cameron, J. (1998). The Right to Write: An invitation and initiation into the writing life. Jeremy P. Tarcher Pub. Capacchione, Lucia. (1979). The Creative Journal: The Art of Finding Yourself. Chicago: Swallow Press. Capacchione, Lucia (2001). The Power of the Other Hand. FranklinLakes, NJ: The Career Press, Inc.
Cepero, Helen. (2008). Journaling as a Spiritual Practice: Encountering God Through Attentive Writing. Downers Grove, IL: Inter Varsity Press. Chapman, Joyce. (1991). Journaling for Joy: Writing Your Way to Personal Growth and Freedom.North Hollywood, CA: Newcastle Pub. Conner, Janet. (2009). Writing Down Your Soul: How to Activate and Listen to the Extraordinary Voice Within. San Francisco, CA: Conari Press. Desalvo, L. (1999). Writing as a way of healing: How telling our stories transforms our lives. San Francisco: Harper Pub. Dion, S. (1993). Write now: Maintaining a creative spirit while homebound and ill. Puffin Foundation, Ltd.
Duran, Julia. (2011). How to Journal for Personal Development: The Garden Journey: Guided Journaling Manual One and Two. Create Space Independent Publishing Platform. Dossey, L. (1993). Healing Words. San Francisco: Harper. Eisheimer, Janice. (2001). The Creative Call: An Artist’s Response to the Way of the Spirit. Waterbrook Press. Essel David. (2003). Language for the Heart and Soul: Powerful Writings on Life. NY: iUniverse, Inc.
EsseL;. David. (1998). Phoenix Soul: One Man’s Search for Love and Inner Peace. Sarasota, FL: Kona Press. Fox, J. (1995). Finding what you didn’t lose: Expressing your truth and creativity through poem making. N.Y.: Tarcher/Putnam. Fox, J. (1999). Poetic Medicine: The Healing Art of Poem-making. NY: G.P. Putnam’s Sons. Gadsden, Nahaniel. (2001). Learning Self-Therapy Through Writing: An Experience in Creative Journaling. Universal Publishers. Ganim, B. & Fox, S. (1999). Visual journaling: Going deeper than words. Wheaton, Ill.: Quest Books. Goldberg, Natalie. (1998). Writing Down to the Bones: Freeing the Writer Within.Boston: Shambhala Pub. Grason, Sandy. (2005). Journalution: Journaling to Awaken Your Inner Voice, Heal Your Life and Manifest Your Dreams. Novato, CA: New World Library. Gutting, Betsy. (2013). The Magic of Saying Yes: Answering Your Heart’s True Calling. Seattle, WA: New Bloom Press. Hazard Aldrich, Anne. (1998). Notes from Myself: A Creative Guide to Journal Writing. Carroll & Graf Publishers. Heib, Marianne. (2007). Inner Journeying Through Art Journaling: Learning to See and Record Your Life as a Work of Art. Philidephia: Jessica Kingsley Publishers. Holzer, Burghild Nina. (1994). A Walk Between Heaven and Earth: A Personal Journal on Writing and the Creative Process. NY: BellTower. Jacobson-Levy, Mindy & Foy-Tornay, Marueen. (2010). Finding Your Voice Through Creativity: The Art and Journaling Workbook for Disordered Eating. Carlsbad, CA: Gurze Books. Johnson, Dan. (1989). Creative Guide to Journal Writing: How to Enrich Your Life Through Journal Writing.Louisville, CO: Gateway Pub. Johnson, Cathy. (2011). Artist’s Journal Workshop: Creating Your Life in Words and Pictures. North Light Books. Keen, S. & Valley-Fox, A. (1989). Your Mythic Journey: Finding meaning in your life through writing and storytelling. G. P. Putnam’s Sons. Klauser, Henriette Anne. (1987). Writing on Both Sides of the Brain: Breakthrough Techniques for People Who Write. San Francisco, CA:Harper. Lee, Tricia Mary. (2012). The Sacred Mystery Manuscripts: Revelations and Inspirations for Your Sacred Feminine Soul. Balboa Press. Mallon, Thomas. (1995). A Book of One’s Own: People and Their Diaries. St. Paul, MN: Hungry Mind Press. Metzger, D. (1992). Writing for Your Life: A Guide and Companion to the Inner Worlds. Harper Collins. Mischell, Day. (2011). Journal Prompts and Creative Writing Ideas fo Get to Know Yourself. Amazon Digital Press. Nelson G. Lynn. (2004). Writing and Being: Embracing Your Life Through Creative Journaling. Novato, CA: New World Library. Nicholls, Sophie. (2007). Hypnotic Journaling: Learn Creative Journaling Techniques that Will Help You to Explore Yourself and Your Feelings. Create Space Independent Publishing Platform. Peace, Richard. (1995). Spiritual Journaling: Recording Your Journey Toward God. Colorado Springs, CO: Nav Press. Pennebaker, James. (2004). Writing to Heal: A guided journal for recovering from trauma & emotional upheaval. Oakland, CA: New Harbinger Publications, Inc.
Progoff, Ira. (1992). At a Journal Workshop: Writing to Access the Power of the Uncouscious and Evoke Creative Ability. NY: Penguin Putnam. Rainer, Tristine. (1978). The New Diary: How to Use a Journal for Self-Guidance and Expanded Creativity. NY: G.P. Putnam’s Sons. Remen, R.N. (2000). My Grandfather’s Blessings: Stories of Strength, Refuge and Belonging. Riverhead Books. Safe, S (2012). Born of the Earth: Your Journal, Poetry and Meditations in Nature. Wimberley, TX: 2nd Tier Publishing. Sark, (1994). Living Juicy: Daily Morsels For Your Creative Soul. Berkeley, CA: Celestial Arts. Schiwy, Marlese (1996). A Voice of Her Own: Women and the Journal Writing Journey. NY: Simon and Schuster. Simons, George. (1977). Journal for Life: Discovering Faith and Values Through Journal Keeping.Chicago: Acta Pub. Soneff, Sharon, (2008). Art Journals and Creative Healing: Restoring the Spirit Through Self-Expression. Beverly, MA: Quarry Books. Stone, R. (1996). The Healing Art of Storytelling: A Sacred Journey of Personal Discovery. N.Y.: Hyperion. Tallard Johnson, Julie. (2006). Spiritual Journaling: Writing Your Way to Independence. Rochester, VT: Bindu Books. Watterson, Meggan. (2013). Reveal: A Sacred Manual for Getting Spiritually Naked. Carlsbad, CA: Hay House Inc.
Weldon, Michele. (2001). Writing to Save Your Life: How to Honor Your story Through Journaling. Center City, MINN: Haselden. Williams, Prisilla. (2006). Visual Encounters with God (Meeting God Through Creative Journaling). Tree of Life Ministries. Zaric, Aleksandra. (2012). The Goddess Journals: Journaling for Self Awareness. Mermaids Publishing. Campbell, D. (2001). The Mozart Effect: Tapping the Power of Music to Heal the Body, Strengthen the Mind and Unlock the Creative Spirit. New York: HarperCollins Publishers, Inc..
Campbell, D. (1991). Music Physician for Times to Come: An Anthology. Wheaton, Il: Quest Books. Campbell, D. (1992). Music and Miracles. Wheaton, Il. : Quest Books. Gardner, K. (1990). Sounding the Inner Landscape: Music as Medicine. Rockport, MA: Element. Garfield, L.M. (1987). Sound medicine: Healing with music, voice and song. Berkeley, CA: Celestial Arts. Halprin, A. (2000). Dance as a healing art: Returning to health with movement and imagery. Life Rhythm Pub. Lingerman, H.A. (1995). The healing energies of music. Wheaton, Ill: Quest Books. Mazer, S. & Smith, D. (1999). Sound choices: Using music to design the environments in which you live, work and heal. Hay House Pub. Robinson, V.M. (1991). Humor and the health professions: The therapeutic use of humor in health care. Thorofare, N.J.: Slack. Roth, G. (1997). Sweat Your Prayers: Movement as Spiritual Practice. N.Y.: Jeremy P. Tarcher. Appellof, M. (1992). Everything you ever wanted to know about watercolor. NY: Watson Guptill Pub. Clark, T. (1987). Focus on watercolor . NY: Watson-Guptill Pub. Donovan, L. (1997). Painting sunlit still life in watercolor. Cincinnati, OH: North Light Books. Harrison, H. (1993). Watercolor School . Quarto Pub. Hendershot, R. (2014). Texturing techniques for winning watercolors. Echo Point Books & Media. Jackson, L. (1997). Painting Flowers in Watercolor. Cincinnati, OH: North Light Books. Johnson, C. (1992). Creating Textures in Watercolor . Cincinnati, OH: Northlight Books. Kantsky, T. (2004). Ways with watercolor . Dover Publications. Lipscomb, G. (1993). Go with the flow. NY: Watson-Guptill Pub. MacKenzie, G. (1999). The Watercolorist’s Essential Workbook . Cincinnati, OH: North Light Books. Rubin Wolf, R. (1996). Basic flower painting techniques in watercolor. Cincinnati, OH: North Light Books. Rubin Wolf, R. (1998). Basic nature painting techniques in watercolor. Cincinnati, OH: North Light Books. Smith, S. (1995). Watercolor: The complete course . Pleasantville, NY: Reader’s Digest. Soto, P. (2003). Painting glowing colors in watercolor . Cincinnati, OH: North Light Books. Szabos, S. (2011 ). 70 Favorite Watercolor Techniques. Cincinnati, OH: North Light Books. Szabo, Z. (2000). Watercolor Basics: Trees, Mountains, and Rocks. Cincinnati, OH: North Light Books. Taylor, J. (2003). Watercolor wisdom: Lessons from a lifetime of painting and teaching . Cincinnati, OH: North Light Books. Taylor, J. (2012). Watercolor wisdom: Painting Techniques, Tips and Exercises. Cincinnati,OH: North Light Books. Brookes, M. (1991). Drawing for Older Children and Teens: A Creative Method for Adult Beginners, too. Edwards, B. (1979). Drawing on the Right Side of the Brain: A Course in Enhancing Creativity and Artistic Confidence. Edwards, B. (1986). Drawing on the Artist Within: An Inspirational and Practical Guide to Increasing Your Creative Powers.